Rewards Canada: October 19 Update: Earn Triple Aurora Rewards Points on all Canadian North flights, Earn 10x More Rewards Points on all travel bookings & more! 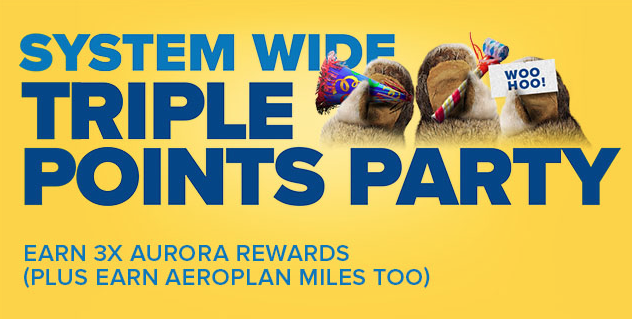 October 19 Update: Earn Triple Aurora Rewards Points on all Canadian North flights, Earn 10x More Rewards Points on all travel bookings & more! 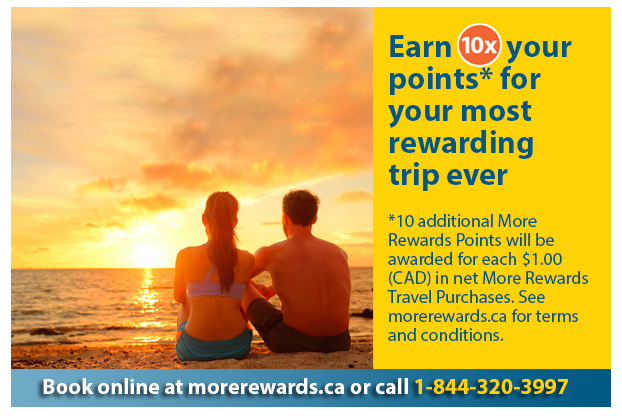 Meanwhile More Rewards are offering 10x More Rewards points on every eligible dollar spent on travel via More Rewards Travel. That equates to about a 4.2% return on each dollar spent. More Rewards Travel is a full fledged travel agency that books flights, hotels, vacation packages and more. Now maybe the time to funnel some flight bookings via them. This offer runs until Nov 30. Find out more here.